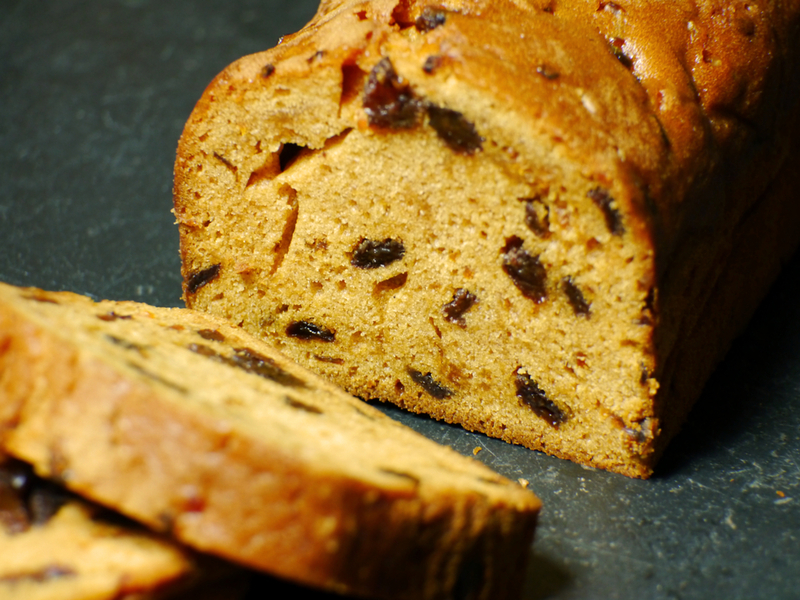 Fruit cake made with 100% spelt flour, making it ideal for those with wheat gluten intolerance. Made with 100% spelt flour, making it ideal for those with wheat gluten intolerance. Spelt is a similar grain to wheat but contains more protein, has a beautiful nutty flavour and is highly nutritious. It has been cultivated in the middle east for over 7,000 years. Packed with juicy sultanas and cherries, this fruity and tasty 'free-from' cake also offers great value at the same price as the rest of our range. SPELT Flour (with Calcium, Iron, Niacin, Thiamin), Sugar, Water, Sultanas (9.9%), Glace Cherries (2.9%) [Glucose-Fructose Syrup, Sucrose, Acidity Regulator (Citric Acid), Preservative (Sulphur Dioxide), Concentrated Black Carrot Juice], Vegetable Oil (Rapeseed), Humectant (Glycerine), Whole EGG Powder, Rice Starch, Pregelatinised Rice Flour, Maltodextrin, MILK Sugar, Skimmed MILK, Yoghurt Powder (MILK), Whey Powder (MILK), Raising Agents (Diphosphate, Sodium Carbonate), Salt, Emulsifier (Sodium Stearoyl-2-Lactylate), Thickener (Carboxy Methyl Cellulose), Flavourings, Preservatives (Potassium Sorbate, Sodium Propionate). May contain traces of SOYA. Energy 1779kJ / 426kcal, Fat 22.5g, of which saturates 2.3g, Carbohydrates 51.4g, of which sugars 30.7g, Protein 5.7g, Salt 0.5.